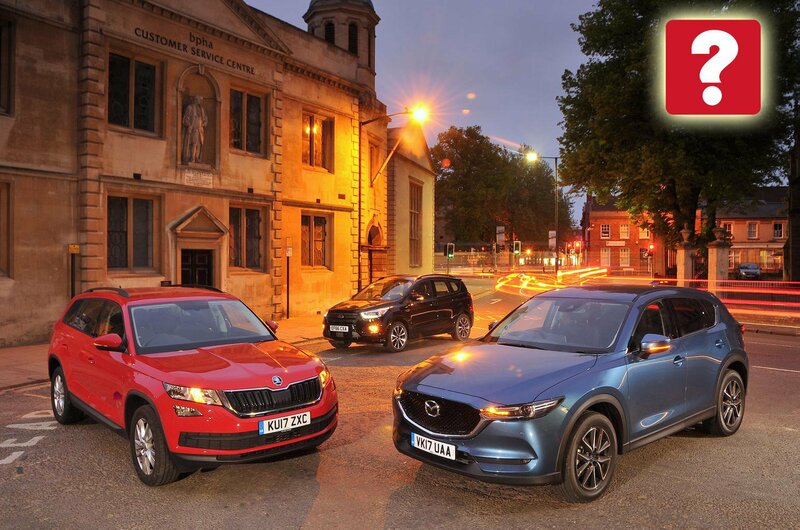 New Mazda CX-5 & Ford Kuga vs Skoda Kodiaq | What Car? So, you want an SUV. You’ve thought about a Nissan Qashqai or a Seat Ateca and like their cheap running costs, but they’re a little on the small side. What do you buy? 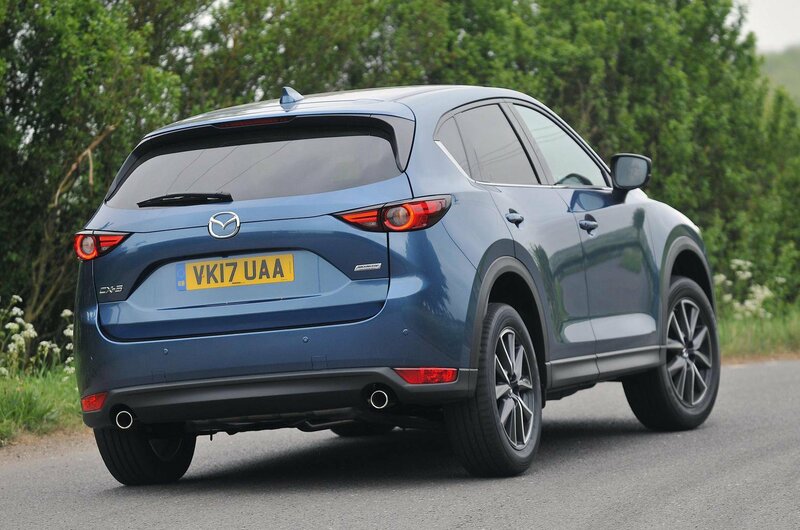 Well, the answer to that particular conundrum was, for many years, the Mazda CX-5. Big, practical and surprisingly good fun to drive, it was the go-to choice for anyone more concerned about value for money than a posh badge. But then along came the Skoda Kodiaq. Even bigger, much classier inside and yet similarly good value, it made the CX-5 seem rather old-hat. Not one to take defeat lying down, Mazda is back with an all-new CX-5 that promises to fix some of its predecessor’s flaws – a low-rent interior and noisy road manners – without a big price hike. But Skoda and Mazda aren’t the only ones in this fight; Ford’s recently revised Kuga costs about the same and betters both for fuel economy. We’ve lined up our trio in 148bhp diesel form and stuck with cheaper and more efficient front-wheel drive, although four-wheel-drive versions of all three cars are available if you’re worried about getting up that slippery driveway in winter. The CX-5 and Kuga have six-speed manual gearboxes, while the Kodiaq gets a seven-speed automatic as standard. Given that all of our contenders weigh about the same, it’s hardly surprising that there’s barely anything in it for straight-line pace; all can whisk you from 0-60mph in around 9.5sec. However, they go about this in very different ways. The CX-5’s engine actually feels more like a turbocharged petrol than a diesel, pulling keenly from around 1100rpm and revving freely until well past 5500rpm. The Kuga’s engine has a much narrower sweet spot; it doesn’t pull as eagerly at very low revs and starts to run out of puff at about 4000rpm, so you need to change gear more frequently. Mind you, the Kuga’s gearchange is lighter and more precise than the CX-5’s. 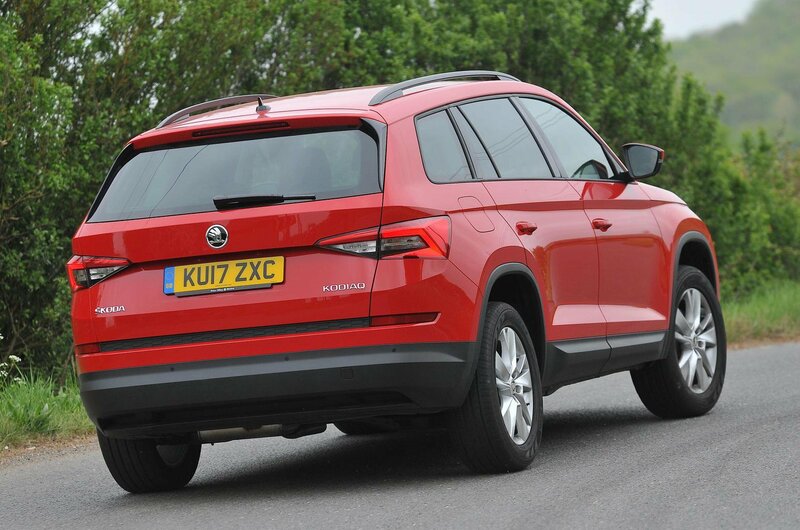 Obviously, you don’t have to change gear at all in the Kodiaq; just push the accelerator pedal and the car chooses the most suitable gear to call on. It makes good decisions and shifts smoothly the majority of the time, although progress is a bit jerky at very low speeds, especially when parking. 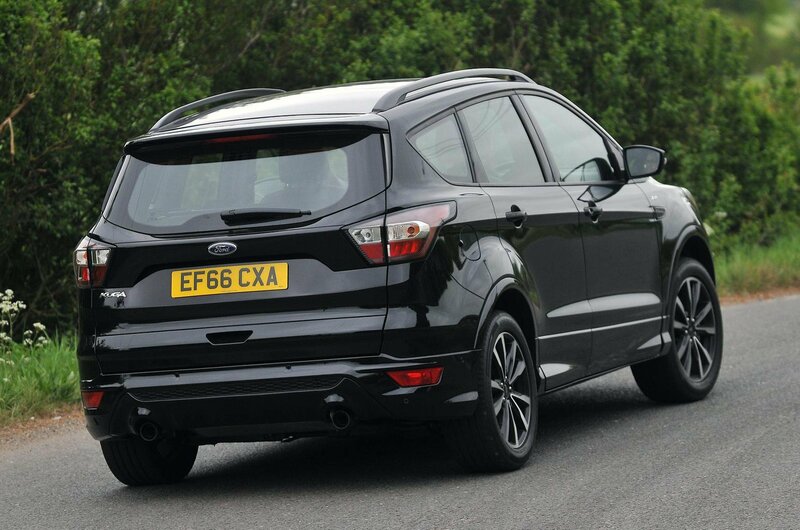 Ford’s line-up includes some of the best-handling cars in the world, but the Kuga isn’t one of them. Yes, it stays the most upright of our trio through tight turns (the standard sports suspension on ST Line trim helping), but it also feels the most nervous, its front tyres try to follow every little camber and its steering is far too keen to self-centre. The Kodiaq leans more than the Kuga through corners, but it’s actually much more composed and predictable, and its steering gives you a better sense that you’re in control of the car. However, it’s the CX-5 that has the best steering of the three and is the most enjoyable to drive on a winding country road.